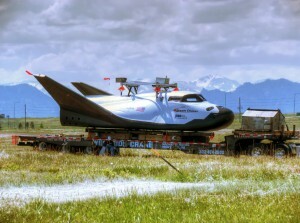 Sierra Nevada Corp’s protest of NASA awarding $6.8 billion in contracts to SpaceX and Boeing to develop space taxis has reportedly been rejected by The Government Accountability Office. Boeing’s contract is worth $4.2 billion while SpaceX’s contract is worth $2.6 billion, with both contracts encompassing two to six operational missions per company and test flights to the International Space Station. The main goal of the space taxis is to reduce transportation costs to the ISS, which is 260 miles from Earth, and currently costs a whopping $63 million per person for one ride. Sierra Nevada’s main gripe with NASA revolves around the fact that Boeing was awarded a contract despite the fact its price tag was $900 million more than Sierra Nevada’s. The second contract was awarded to SpaceX because its proposal was cheaper and a better value than Sierra Nevada’s so it looks like the company’s Dream Chaser miniature space shuttle will have to wait for its space taxi opportunity. Luckily for Sierra Nevada, the company is already competing with Boeing, SpaceX and Orbital Sciences Corp for a whole new wave of space taxi contracts set to be awarded this spring.